Painting robots are used in coating various types of elements with different coat paints. Painting robots may be incorporated as separate stations in a single painting cell or in fully automated painting lines, booths or tunnels, performing specific operations in the process. Through a large adaptability of this group of robots, using appropriate spray painting machines and through the ability to use special covers protecting from dirt, painting robots can be used in very severe operating conditions. 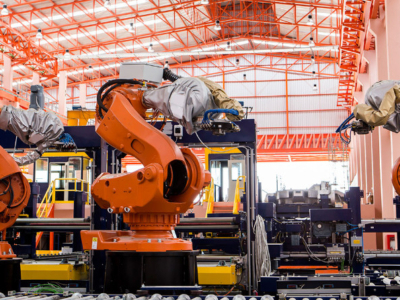 Due to the ever increasing requirements of operating conditions, these robots may be used in manufacturing processes, where it is impossible for people to stay because of detrimental work environment. Their use in the manufacturing process allows for obtaining better-quality results, reducing takt time, increasing efficiency and above all for reliability of operation.